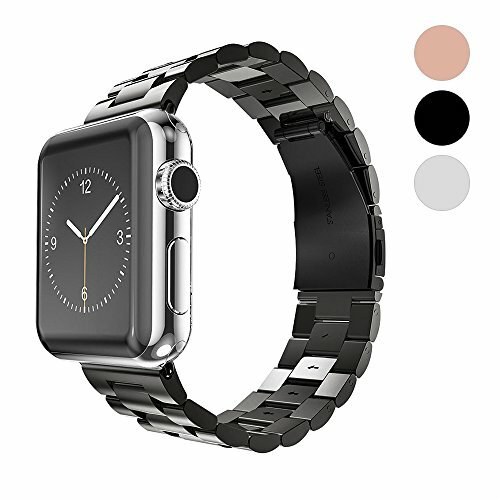 - Designed specially for Apple Watch, compatible with Apple Watch all models 42mm/38cm . - Exclusive Button Butterfly Clasp and steel head , easy to install and remove. - Paper box package, eco-friendly, low-key , elegant and practical. Best gift for yourself , your family or friends ! Top quality - stainless Steel material, luxury, nobility, elegance & durability ,Exclusive button butterfly folding clasp easy to wear,High-tech surface finish watch strap fits your device and feels comfortable on your wrist. Keep your watch safe:Band have Apple Watch Lugs on both ends, which locks onto Apple Watch Band Interface precisely and securely. Adjustable length: Removal tool kit included in the package, easy to remove the links and provide the best using experience. If you have any questions about this product by WAfeel, contact us by completing and submitting the form below. If you are looking for a specif part number, please include it with your message.